Homeward Bound's business revolves around keeping people happy and at ease during the buying or selling process. See what our clients have to say about their experience. The following testimonials were written by just some of our happy sellers and buyers. They have all been kind enough to give us permission to show you their correspondence. Their letters and words are very gratifying. Our down-to-earth and honest approach has earned us many friends - we love it! "We are very glad to call Rosemarie our realtor for life"
My husband and I met Rosemarie several years ago when we were looking for a condo close to the University for our two kids. The minute we met Rosemarie, we felt an unexpectedly close connection. She was warm, patient and full of humour, while attentive, knowledgeable and very prepared. Exploring potential suites, my impression of her work integrity increased with each smoothly planned, punctual, informative viewing. When the time came to buy our' ideal condo', her skills and experience in supporting and guiding us through the negotiating and purchasing processes, were truly appreciated. It is seven years since that successful condo purchase. Recently, we experienced Rosemarie on the selling side of things. In the course of one short month, she met with us, discussed what she felt advisable for making the suite market ready, cleaned and staged, reviewed and supplied us with detailed, relevant facts and figures regarding the current real estate market, determined the best asking price, prepared high quality brochures and advertising materials, and kept us consistently informed on all activity regarding viewings and response to our unit. The whole process was surprisingly stress free, and the outcome completely exceeded all of our expectations. Rosemarie on her own, is a smooth real estate' tour de force', but what makes her even more special, is that she comes with her business and life partner Tom, who, as an excellent realtor himself, contributes additional perspective, knowledge and experience to each property transaction. In a business as unstable and mysterious as real estate, there is nothing more valuable than feeling significant trustworthiness and reliability from your realtor. We are very glad to call Rosemarie our realtor…for life. "Rosemarie and Tom are rare gems in the business"
Recently, when we were selling and buying a condo from out of town, we found Homeward Bound Team, Rosemarie and Tom, to be very competent, conscientious professional realtors who inspired our confidence at every step: by knowing the market well; listening fully to us; and matching what we wanted with potential listings of interest they knew in detail. They remained steadfast at our sides throughout, always providing answers to ongoing inquiries and assisting right up to our move in date and beyond even that! We recommend them highly to others who maybe buying or selling a property and want excellent real estate services! "Their best asset is their communication skills. They are honest, forthright, and help you focus on the tasks that need to get done. They truly care about you and it shows"
I have been acquainted with Rosemarie & Tom for ten years now during which time they helped to sell my parents home, buy a condo for them, sell that condo after nine years, and helped me to purchase a home. Their best asset is their communication skills. They are honest, forthright, and help you focus on the tasks that need to get done. They truly care about you and it shows. "We highly recommended your services"
Thank you so much, Rosemarie and Tom for your professional and knowledgeable dealings on our behalf. You got the job done in good time and the results were what we wanted. We are happy we got to know you, because you are great people. We highly recommended your services. "They were on call practically 24/7, earnestly bringing positive thoughts, updates, news, and information"
Homeward Bound found our new home and the buying and selling was done with efficiency and thrift. They were on call practically 24/7, earnestly bringing positive thoughts, updates, news, and information. This was essential to allaying anxiety and worry over selling our 40 years old, 11 acre property. They prepared two full binders for reference on both properties. They celebrated both transactions with us. We are more than pleased with their professionalism and excellent service and we are now happy in our new home! Thank you Homeward Bound Team! "I found both Rosemarie and her partner Tom to not just practice ethically, which is a challenge in this crazy housing market, but went far beyond what other real estate agents are doing these days"
I contacted Rosemarie Colterman last summer through Royal LePage as she was recommended by a friend who stages homes. I was looking for a go getter who was ethical in her practice. I found both Rosemarie and her partner Tom to not just practice ethically, which is a challenge in this crazy housing market, but went far beyond what other real estate agents are doing these days. They gave me a binder full of information to assist me in selling and buying. Though my townhouse sold the first weekend on the market Rosemarie and Tom spent much time and money preparing to put it on the market. They had a photographer come in to take stills, another professional to create 3D scale drawings of the whole house and a videographer to video the home. At the open house there were beautiful signs painted advertising in 3 locations and one of the nicest color information brochures I have seen. It really was a class act and has made me aware of how little some agents are doing in this market. Based on my experiences with this team selling my home following a very negative experience up island I sought out their help again in purchasing a new home looking all the way from Sooke to Ladysmith. Given the state of the market buying a home is far more challenging than selling a home. This team have been patient, responsive, and informative throughout the process and have helped guide me to other competent professionals I have needed. They both have strong communication skills which are essential in negotiating a purchase. Following an experience of losing my up island home, just before closing, I needed to have agents that I could trust and this team is one of the most trustworthy ones I have experienced. They are skilled, enthusiastic and fun, which goes a long way in this market. "They helped us navigate through a major life change and turned a period of anxiety into a pleasant and positive experience"
Selling your home is a stressful time in one’s life; and part of that stress is in finding a realtor whom you feel comfortable enough to place your trust in. Rosemarie Colterman and Tom Oak from Royal LePage ended our quest. They helped us navigate through a major life change and turned a period of anxiety into a pleasant and positive experience. They made everything clear and offered sound advice related to all aspects of the sale of our home. They are professional, organized and provide a service that is definitely above average. Everything worked out so perfectly for us. Because of the relationship we were able to build, we do not hesitate in recommending their team in getting you through the process with consideration, ease, care and success. "It was evident Rosemarie and her team knew (their) market"
Rosemarie came highly recommended by a close family friend. We were new to Victoria and it was evident to us that Rosemarie and her team knew her market. She guided us patiently, efficiently and professionally. Both Rosemarie and Tom are attentive to detail and our needs. The client package they provided serves as a great resource for our future reference. "They really care about their customers finding the right home and being happy"
We loved Rosemarie and Tom's personal approach in providing us support for the house search. They listened to our needs and concerns, explained the house aquisition procedures and were patiently coming with us to the many houses we saw. They really made the difference for us. Tom and Rosemarie became friends to us during and after the house aquisition process. They keep on reaching out to us and be interested also after the house aquisition. It feels like they really care about their customers finding the right home and being happy! "You were both attentive to my needs"
I liked the promptness - the way you explained the process, then gave me everything in the written "handbook". You were both attentive to my needs and it was a prompt sale ( not always possible ). I would recommend you to my friends". "We would highly reccommend the Homeward Bound Team"
Tom was a great help from the start to the finish of the purchase of our house. We appreciated the professional advice of moving our possession date up to facilitate our move. We would highly recommend the Homeward Bound Team to family and friends. "Thanks so much for everything"
We thank you for your excellent timely communication, super professional marketing, straight honest information. Your attention to every detail all resulting in spectacular results. You covered everything and I tell everyone what a great team you are. There could be none better. "I was so happy with the service and hard work that was put into the success of selling & buying (my home)"
I was so happy with the service and hard work that was put into the success of selling and buying my new house. I was very happy with the openess and feeling part of the family. Rosemarie and Tom were very professional and although it took a while because of property location, a satisfactory result was achieved. Rosemarie and Tom really get to know their clients and their needs. They are kind, supportive and encouraging. They worked very hard for us, giving us the benefit of their deep experience with excellent advice and guidance. "Homeward Bound Team were there to guide us and advise us"
We had been in our rancher for over 25 years during which time the real estate business had changed considerably. Homeward Bound Team were there to guide and advise us through our house sale and buying our condominium. We are very grateful for this service and all the extra personal touches. Our family live in Alberta and Rosemarie and Tom kept them informed every step of the way as the buying and selling proceeded. That extra touch put our minds at rest. Well done and thank you for your courteous service. "I felt so confident and grateful"
I felt so confident and grateful knowing that the sale of our property was being done with care and integrity. "The sales process was stress free thanks to their hard work and enthusiasm"
Rosemarie and Tom did very in-depth market research when assessing the value of our house. The sales package including floor plans, amazing photos and virtual tour was very effective. Our house was sold in less than 2 weeks. The sales process was stress free thanks to their hard work and enthusiasm. We have recommended them to others who also have had excellent results. "(Rosemarie and Tom) worked tirelessly to give us the best service possible"
We have thoroughly enjoyed having Rosemarie and Tom as our agents in the sale of the condo recently. They worked tirelessly to give us the best service possible, even beyond our expectation. Their professionalism and experience was very evident with the rapid completion of the sale. “We feel fortunate to have had Rosie referred to us by friends"
We feel fortunate to have had Rosie referred to us by friends as we began our search for a new home on the Island. Always available, always positive, and always professional Rosie made the experience fun and personal. We highly recommend Rosie and her team! "You made it all so easy and pleasant"
"I had the utmost confidence in everything (Rosemarie) did"
We had a fantastic experience dealing with Rosemarie and her team. She was professional, available and very genuine in getting to know what our needs and concerns were. I had the utmost confidence in everything she did with our purchase. I chose her based on her fantastic dealings with the sale of my parents' home and purchase of a condo for them in 2009. We had other realtors initially involved and were made to feel like a number, no communication, no effort and not a shred of empathy towards my elderly parents in this crucial time. Very fortunate to have found her. She gives great advice, really knows the market and is very experienced. I would highly recommend her to anyone. "Rosemarie and Tom went above and beyond the call of duty"
Rosemarie and Tom went above and beyond the call of duty in matching us up with our new home. It was nice having a husband and wife team who could relate to the importance of finding the right family home. I believe that Rosemarie and Tom added their personal touches that are unique to this wonderful realtor duo. "Thanks for a very fast sale and purchase"
Rosemarie and Tom were supportive and helpful when we sold and bought this spring. We had never sold a property before and they were awesome at walking us through the steps. We really appreciated Rosemarie's negotiating skills when it came to both selling our old place and buying our new place. We loved the marketing that the Rosie Team did for our condo. It really did help to sell it. Rosemarie and Tom were also very accommodating for scheduling around our toddler's naps and bedtime. Thanks for a very fast sale and purchase! "These two qualified real estate professionals took away my doubts"
I would like to suggest Rosie and Tom, if you plan to sell your home. These two qualified real estate professionals took away my doubts, quickly selling my condo at a great price. Thanks Rosie, Tom and Team. "They walked us through the Home Buying Process step by step"
"As first time home buyers the Rosie Team provided guidance with the purchase of our brand new home. From the beginning we could see how professional they were as they walked us through the home buying process step by step. Rosemarie and Tom assisted us when we felt overwhelmed, and did not stop working for us until long after we were settled in our new home. It was a wonderful experience working with the Rosie Team, we would definitely use them again". 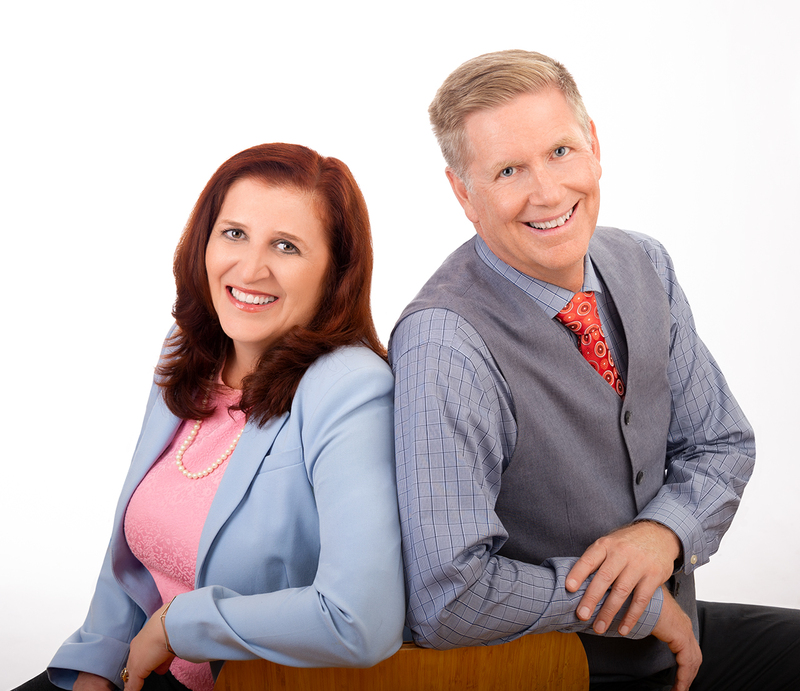 "If you want a Trusted Partner, contact Rosemarie and Tom"
If you’re thinking about listing your home, may I suggest that you list with Rosemarie Colterman and Tom Oak? Rosemarie and Tom are patient. We worked the game plan together, and they gave wise counsel along the way. We did some judicious updating, tweaked the plan as we went along and we hit my goals. Most importantly, we sold my condo for more than I thought possible. If you want a trusted partner, contact Rosemarie and Tom. Thanks Rosie/ Tom and team. "Happy to recommend Rosemarie to anyone looking for a Real Estate Agent in the Victoria area"
Rosie helped us buy our first Condo in Victoria back in 2006. As we are located in Montreal, the process was greatly simplified by her professionalism and experience. Rosie has just sold the same condo for us and again the combination of her patience, perseverance and professionalism has resulted in satisfactory pricing and closing dates for all concerned. We are very pleased with the results so far and happy to recommend her to anyone looking for a Real Estate agent in the Victoria area. "You were great to work with, professional and extremely helpful"
Me and my husband would like to thank Rosemarie and her team for helping us find the perfect house, at least for a couple years! You were great to work with, professional and extremely helpful. You know the market in Victoria and you also figured out really quickly what we were looking for. We look forward to working with you again in the future. "We have worked with several Realtors over the past 20 years, and we are going to stick with Rosie from now on"
Rosie helped us to purchase a condo this Spring, when Kathryn and I were looking for an investment property and place for our son to live while he attends the University of Victoria. When I placed calls to several Realtors listing condos of interest to us, Rosie was the first to respond, and immediately arranged for us to see all the units on our list. At our first meeting, she not only impressed with her friendly manner, but had already thoroughly researched the University condo market, and had brought information on several other very suitable properties for us to consider. After multiple, efficiently organized viewings, we found the perfect property. Rosie was extremely helpful and knowledgeable in preparing our offer, walking us through all the important considerations (strata rules, building considerations, market conditions, etc.) prior to making our offer. She then communicated effectively and quickly with the seller’s Agent and us to complete the deal completely to our satisfaction. We have worked with several Realtors over the past 20 years, and we are going to stick with Rosie from now on. “Real”, “honest”, “fun” and “gutsy” are words that we use to describe her. She has experience, and was willing to share her opinions in a supportive manner. 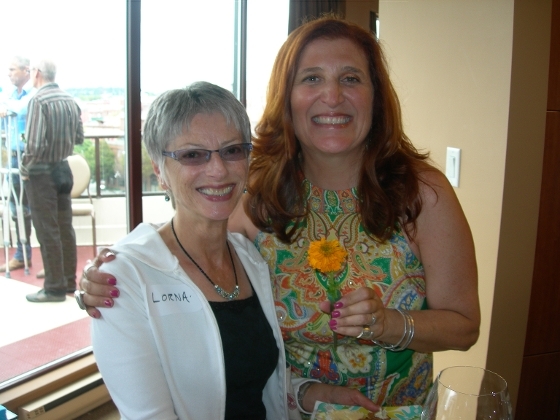 She has heart, and soul, and truly engaged with us on both a business and a personal level. We really felt important and cared for during the entire process, and wholeheartedly recommend her to anyone looking for excellent Realtor service. "I have only good things to say about Rosie"
She is a great person and was a pleasant surprise from what I expected a real estate agent to be like. She didn't try to sell us a house that we didn't need and actually wasn't afraid to tell us when she thought a house wasn't right for us. There is no doubt that we will recommend her to any friends that are looking to purchase a property. Thanks for helping to make a potentially stressful experience go smoothly. "I am very grateful Rosie was our Realtor and for the kindness, friendship and interest she extended to us as a family"
Rosie was incredibly sensitive and empathetic in supporting my mom through the sale of our very special family home, and settling into a new home of her own after my dad died. A few years later, my mom needed to move to a supportive living arrangement, and again we called Rosie. Rosie was very empowering to my mom of 88 years . She kept her informed of the market ,and we worked together as a team to make decisions . Rosie always provided excellent advise and kept our best interests at heart. Rosie was an enormous support to me as a daughter , and someone I could depend on for her expertise and insight of the market. I am very grateful Rosie was our realtor and for the kindness, friendship and interest she extended to us as a family." "We are very impressed with Rosie"
"It was pure serendipity that we met Rosemarie, we are very impressed with, and thankful for the service she provided." "Rosemarie is the best in the business"
"Quite simply, Rosemarie is the best in the business. She sold our house for more than we expected to get, and bought our condo for less than we expected to pay. And she looked after us full time during the process." "A dedicated true professional realtor"
I arrived at my 70th year fortunately in good health and feeling positive about things. With one exception, I had traveled to my hearts content in earlier years, but since retirement my funds were dwindling. I had itchy feet but couldn't do much about it. I was the proud owner of a nice two bedroom condo in the Fairfield area of Victoria, who clearly had not set enough aside for his senior years. When I looked into a reverse mortgage plan I did not feel comfortable. Since retirement I had approached 3 different realtors with the idea of downsizing, they seemed indifferent and suggested I be content with my lot. Then I found Rosemarie Colterman, well in less than one month she has found me a new apartment in a very stylish building and has sold my condominium at a very good price. My travel funds are looked after and I am pleased as punch. Rosemarie is a dedicated true professional realtor who I am pleased to recommend. "Distinct Pleasure and Especially Satisfying"
our Gordon Head property. I do not hesitate to recommend Rosemarie to anyone seeking a dedicated honest professional in the real estate industry. "Helped Us Buy A Home In Only Six Days!" I never expected someone to put so much time and energy into making our home purchasing experience an easy one. 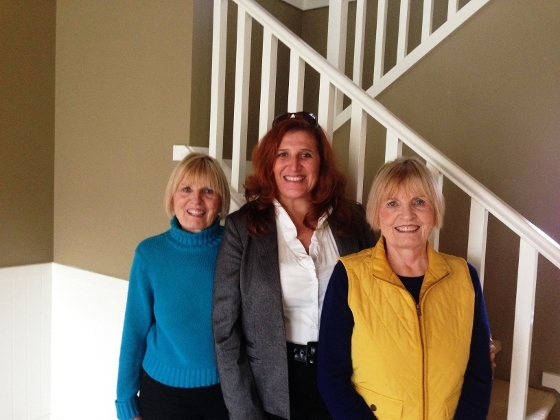 In the six days available to purchase a home, Rosemarie helped us do it from start to finish. "I Have Known Rosemarie For Many Years"
I have known Rosemarie for many years. When I have called on her to help with my administrative business she has never let me down. Her organizational skills, energy, enthusiasm, combined with her empathetic caring manner have always made her a valuable and steadfast support in my life. Now as I have called upon Rosemarie to help me with my real estate affairs, this quality of care has come with her. I am happy Rosemarie is in this industry and I am certain that if you or anyone you know chooses her to help you sell or buy your home, you will be taken care of in every way. Her experience and competence will help facilitate your real estate process and give you reassurance needed throughout the whole transaction. I trust Rosemarie. "I will have no hesitation in recommending"
"Our experience was positive in all respects"
We had the privilege in the spring of 2009 to work with Rosemarie Colterman in selling our home of 15 years in Colwood. Our experience was positive in all respects and we would not hesitate to recommend her to other prospective buyers or sellers. Selling a property can be very challenging and Rosemarie remained optimistic throughout our process with her encouragement and positive attitude. She gave us very practical feedback which helped the presentation of the house and our success in finding the perfect buyer. We both had a strong emotional attachment to our home and property, especially the terraced gardens which had been designed and planted with love and labor. 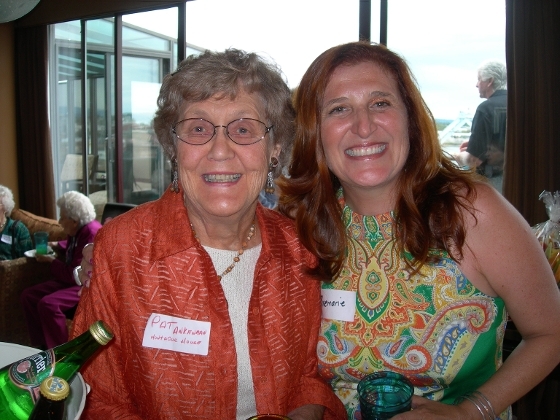 Rosemarie understood our attachment and helped to ease this transition for us. We were comforted by her classic words: 'It will all work out in the best possible way. Rosemarie helped me successfully sell my condo and purchase a new one. Despite all the pressure and work of juggling both deals, she always stayed in touch with me and kept me informed. In my opinion, on a score of 1 to 10, Rosemarie gets a 10! "Rosemarie has an amazing team"
The sale of my house was very trying at times but Rosemarie's attention to detail, understanding of my concerns, and the amazing team that she works with made it all possible. I would highly recommend her to anyone. "Rosemarie made our dream a reality"
As first time home buyers, we really appreciated her patience as we struggled to define our ideal home. In the end, her quick action, experience, and instinct made our dream home a reality. Thanks Rosemarie! "Rosemarie was helpful, professional, caring..."
On returning to Canada after living in the USA for 50 years there was so many different aspects of the Real Estate business I was faced with. Rosemarie was helpful, professional, caring, and honest. With her overall knowledge and integrity I felt completely in "good hands"
requiring a Real Estate professional. She is a wonder and a joy to work with. "Rosemarie Worked Around The Clock"
Being from out of province, we wanted to be assured we found an agent who would meet our needs and work in our best interest. We found Rosemarie on line and were impressed with her quick and personal response. Her knowledge of the market, ability to really listen and understand what our future and transitional plans were, quickly developed our confidence in her skills as a realtor. Rosemarie worked around the clock and went the extra mile to help guide us in finding and purchasing the right place. Her resource of local credible contractors, inspectors, legal assistance and access to provincial legislation and local by-laws was invaluable! I have had Rosemarie as my real estate agent for the experiences of both buying and selling, as I loved working with her so much the first time I happily went back to her for seconds! She was a joy to work with, always upbeat and positive, informative, and never pushy. She really listened to my wishes and worked hard to fulfill them. I would recommend her to anybody and everybody! Rosemarie was a very strong advocate for me in the purchase of my first home. She was always positive, knowledgeable, and available. I knew I could contact her at any time, and she would get my questions answered quickly. "Thank You For Making Our Dream Come True!" Thank you for making our dream come true! You listened to our needs and concerns regarding selling our home quickly. You helped us through the challenges we faced regarding the financing required. You said our home would sell on the first Open House.... and it did! We wanted to 'truly' thank you for believing in our dream and making it come true! WE DID IT! "The ultimate professional in all dealings"
market. She was the ultimate professional in all dealings and I appreciated her timely comments after each open house or showing to keep me updated. I will use Rosemarie again if I require real estate services and do not hesitate to recommend her. When Rosemarie says she is 'Full Service' she means it! We couldn't be happier with the way she got things moving for us and made it all so uncomplicated. To find our dream place, and assist us to buy it in just five days - then list our home and have it sold within a week, how could anyone ask for more? Rosemarie is the very best! "We Found Rosemarie Friendly and Approachable"
We found Rosemarie friendly, approachable, positive and very hard working - her considerable efforts on our behalf paid off for us. "We have been more than satisfied"
We have been more than satisfied with Rosemarie’s work, both in the sale of our home of 47 years and in acquiring our condominium. She went into great detail to explain both sales and guided us along the way. "We have recommended her to several of our friends"
Richard and I were very impressed and happy with the service Rosemarie gave us when selling our home. We have recommended her to several of our friends. We always would go back to her if we needed help. My wife and I began the search for our first home by visiting numerous open houses. We met Rosemarie at one of those open houses and were instantly impressed by her friendliness and her professionalism. Unlike some realtors we had met, she was neither pushy nor indifferent to our needs. We agreed to work with Rosemarie and it was only a short time later that we realized she was the same person whom one of our friends had spoken highly of. Rosemarie taught us a great deal about the home buying process and she was reliable and efficient in her work. With Rosemarie's help, in the matter of a couple of weeks we found ourselves a beautiful home in a wonderful neighbourhood and within our budget. Rosemarie made the whole process of buying a house easy and painless. Even after our offer to purchase was accepted, Rosemarie continued to work with us until after the closing date to ensure that all went smoothly and that we were completely satisfied with our purchase. Buying a house with Rosemarie as our realtor was a very positive experience and we highly recommend Rosemarie. Rosemarie was wonderful to work with as we searched for our first home. She understood our preferences and was able to guide us through the process efficiently and with great knowledge of the market. Her enthusiasm and positive attitude made her a joy to work with. We would highly recommend her to anyone in need of a real estate professional. "Above And Beyond All My Expectations"
It was a frightening prospect: moving from my Ontario home town all the way across the country to the West Coast, facing a new location, new job and absolutely nobody in Victoria to even help me find a place to live. Fortunately, through a tip from the manager of one of Victoria's finer financial institutions, I found a friend; Rosemarie Colterman of Dutton & Company. Through Rosemarie's contacts, even before I left Ontario, I was able to arrange a rental condo as a temporary base from which to begin looking for an affordable permanent home in Victoria. Rosemarie was there on the first day I arrived to greet me with a big hug. She had already canvassed the market and during the next few weeks, together we investigated every home listed within my range in the Victoria vicinity. Although it was a competitive sellers' market, not to mention quite a challenge on my limited budget, Rosemarie looked out for my interests and really came through for me. In a very short time, Rosemarie succeeded in finding the perfect house within walking distance of my new job. On top of that, she helped me to negotiate the purchase for less than the original listing price and also put me in touch with some mortgage providers as well. Rosemarie went above and beyond all my expectations. She made this a positive experience for me. I love my new home and I just couldn't have done it without her! be a mermaid when she was a little girl?! "It was a pleasure working with Rosemarie and Tom"
It was a pleasure working with Rosemarie and Tom, their suggestive advice was comfortably sound, without being too pushy. They are a straightforward professional team with an experienced marketing strategy. I had my condo up for sale for three months and was unsuccessful. Once I hired Rosemarie, I knew things would be different. I admire her approach to the process, particularly the brochures! She knows that working hard and minding the details is an integral part of selling a property. Her kind, caring, and friendly personality is an added bonus! I would not hesitate to work with Rosemarie again!" We are very pleased to recommend Rosemarie Colterman as a real estate agent. Our situation was unusual in some respects. We wished to sell a large heritage mansion which had development potential and whose market value and best use were far from obvious. From the beginning Rosemarie was very clear and straightforward with us. She took charge, brought in other real estate professionals as required, clarified zoning issues with the city, and presented us with various options. We chose the strategy and she listed the property, put together a first rate package, dealt sensitively with our tenants, found buyers, got us a good price and the deal was done. From our perspective the process was simple and worry free. She was in constant communication with us throughout. We found her friendly, approachable, positive and very hard working, and her considerable efforts on our behalf paid off for us. There is no question that we will engage her again should we need the services of an agent in the future. "We Can't Thank Rosemarie Enough!" We can’t thank Rosemarie enough for assisting us with buying our new home. We had 6 other sets of buyers bidding against us for the same property. Rosemarie confidently talked us through the process, worked her magic and we got the home! We feel extremely privileged to have had Rosemarie work for us, she comes highly recommended! "We do not hesitate to recommend Rosie as a realtor"
situation of buying and selling one's home was made very pleasant for us, thanks to the efforts and enthusiasm of Rosemarie and her business manager Tom. We do not hesitate to recommend Rosie as a realtor. Just some of our happy Clients!